We can help you tackle that repair. RCPW has been an authorized Briggs and Stratton dealer for over 38 years. Repairing your equipment can be hard, but we make it easy with simple model diagrams and savings on common repair items. With over 220 years of combined experience with repairing Briggs & Stratton engines and component sales for engines, power washers, generators, mowers and more, why look anywhere else? If you're not sure where to start, use our diagrams or search for your part number below to find what you need. If you get stuck, give us a call! Our friendly staff is ready to help you with your engine parts lookup and help you get the components you require, fast! Call us at 800-937-7279 today. Want to keep your engine going for years to come? Save on OEM and aftermarket maintenance items like air filters, oil filters and engine maintenance kits to keep your equipment running like it should. Not sure what you're looking for? 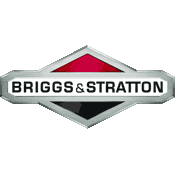 Browse all genuine Briggs & Stratton parts here. One of the most common points of failure for any Briggs engine is a breakdown in the fuel system. These days, the ethanol and other additives in fuel wreak havoc on small engines that weren't made to run with these kinds of things added to fuel. We recommend using a high octane fuel for best performance, but sometimes that's not enough. We carry a large variety of carburetor kits for single and twin cylinder engines. You can also get the seals, gaskets and welch plugs if those are the only pieces you're missing. Briggs & Stratton has proven to the outdoor power equipment industry that they can make engines that are powerful, durable, and long-lasting. Their commitment to quality began over 100 years ago and today 8 out of 10 major lawn mower manufacturers use their engines. That's why RCPW is proud to be a Diamond Dealer, an honor given to only the top product dealers in the United States.